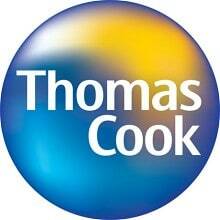 Thomas Cook is Europe's second-largest travel firm, formed by the merger of UK package holiday rival MyTravel and the Thomas Cook tourism unit of Germany’s KarstadtQuelle. Under the terms of the merger, KarstadtQuelle owns 52% of the enlarged group with the rest under MyTravel. Thomas Cook's strategy is prioritising customer support and delivering a reliable, quality service; stakeholders are satisfied through regular maintenance of high customer standards.